In April 2015, I traveled from Brussels to New York (tourism) after successfully applying for ESTA. Today, my ESTA is still valid (I checked via the official website). On 22 February 2016 I will be traveling from Amsterdam to Cancún, with a transit in Houston. When I applied last year, I was staying in New York, so I answered the question Is your travel to the US occurring in transit to another country? with a "no". For my trip to Cancún, however, this question should be answered with a "yes", since I will not be staying in the US for more than two hours during my transit in Houston. Is there some way I can change the answer to the question Is your travel to the US occurring in transit to another country? from "no" to "yes"? Or, do I have to apply for a new ESTA? I ask this because the ESTA FAQ specifically mentions you should answer "yes" if you're in transit - the point is that I cannot change the answer to this question. The only thing I can do is change the NY address I stayed last year into "In Transit", but I'm not sure whether that's sufficient. Each approved ESTA application generally is valid for two years or until the applicant’s passport expires, whichever comes first. 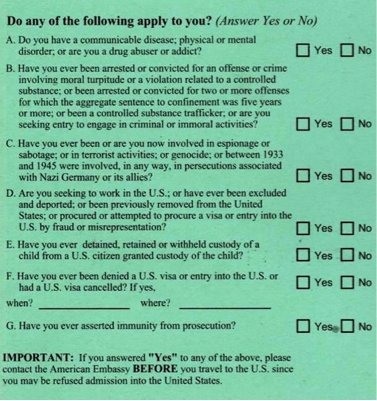 A new travel authorization is required if: (1) the traveler is issued a new passport; (2) the traveler changes his or her name; (3) the traveler changes his or her gender; (4) the traveler’s country of citizenship changes; or (5) the circumstances underlying the traveler’s previous responses to any of the ESTA application questions requiring a “yes” or “no” response have changed. The associated fee will be charged for each new application submitted. I don't mind that much about the $14, but if it's not really necessary, I prefer to leave all the hassle aside. The last rule refers to the yes and no boxes you have to tick, e.g. did you ever get deported. The transit checkbox is not part of the yes/no boxes. In fact, you don't even need to update the application at all while your esta is valid. So if nothing changed except the fact that you are there for a transit, then no, you don't need to apply again. I had the same situation about one year ago. I had a layover in ORD for my trip from LHR to CUN and I had a valid ESTA. I just modified the application with the new flights information and 'TRANSIT' in the US address. Not the answer you're looking for? Browse other questions tagged transit esta or ask your own question. United Airlines' online check-in procedure : “stay” or “transit” for one night?